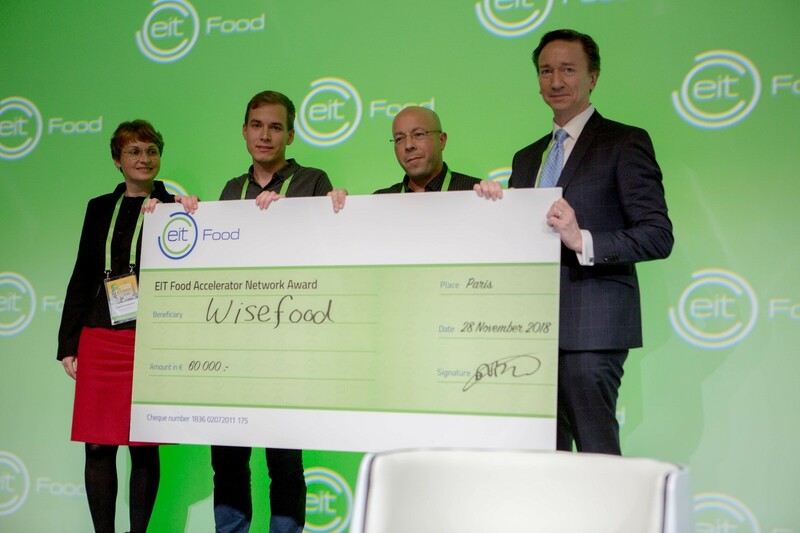 Leuven, 28 November 2018 – The European Institute of Innovation & Technology (EIT) Food has announced today the winners of its 2018 Food Accelerator Network Programme: Agri Marketplace, Jet-Eat and Wisefood. The finalists were invited to compete for three awards, consisting of an equity-free cash prize of € 60,000 each. 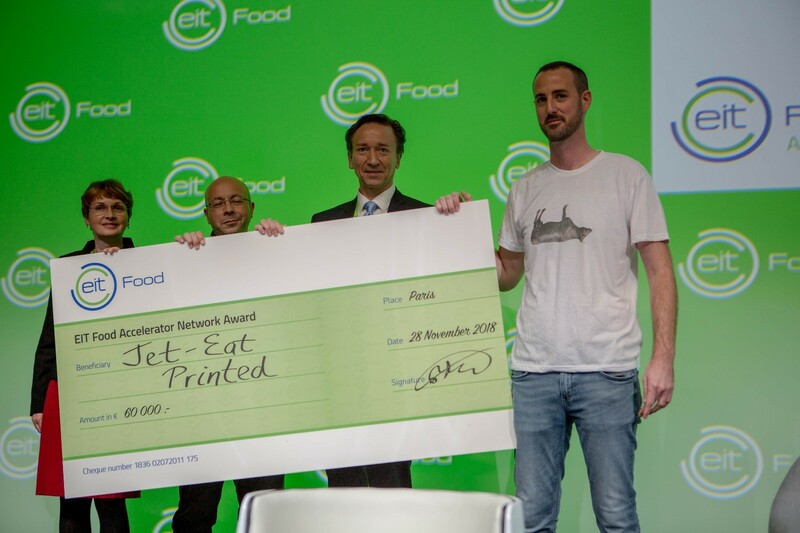 The winners were announced today at the EIT Food Venture Summit on 28 November 2018, at Station F in Paris. Agri Marketplace, based in Portugal, is a global digital platform that directly connects farmers and agro-industrial customers. Jet-Eat, from Israel, offers proprietary technology software and formulations that print fresh meat. Wisefood is a German-based company that has created the world's first edible straw made of apple pomace to offer a more sustainable and ecological alternative. 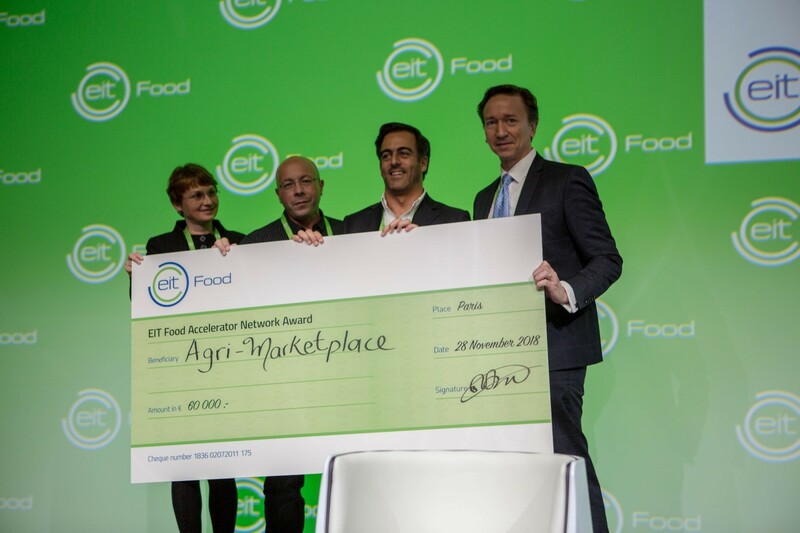 The ten finalists were selected from a group of 41 agrifood technology startups involved in the 2018 EIT Food Accelerator Network (EIT FAN) Programme. Over a four-month acceleration period, these startups have had access to tools, connections, mentors and expertise to help them succeed. MassChallenge Switzerland, part of MassChallenge’s global network of zero-equity startup accelerators, partnered with EIT FAN and introduced a food tech track in its 2018 cohort. Held in Switzerland, Germany and Israel, the EIT FAN aims to make Europe the go-to innovation hub for the world’s most promising agrifood startups. Thierry Duvanel, Managing Director of MassChallenge Switzerland stated: “Today’s EIT Food Venture Summit is not only about celebrating these great projects, but also about bridging the gap between early ventures and established players in food technologies and agriculture. Through the EIT Food Accelerator Network with MassChallenge we have created this unique pan-European startup program and we are thrilled with the way it has evolved and its future prospects. EIT Food is Europe’s leading food innovation initiative, with the aim to create a sustainable and future-proof food sector. The initiative is made up of a consortium of key industry players, start-ups, research centres and universities from across Europe. It is one of six Knowledge and Innovation Communities (KIC) established by the European Institute for Innovation & Technology (EIT), an independent EU body set up in 2008 to promote innovation and entrepreneurship across Europe. The European Institute of Innovation & Technology (EIT) Food announced today that the application window to join the 3rd cohort of RisingFoodStars is now open to new agrifood startups and scaleups. 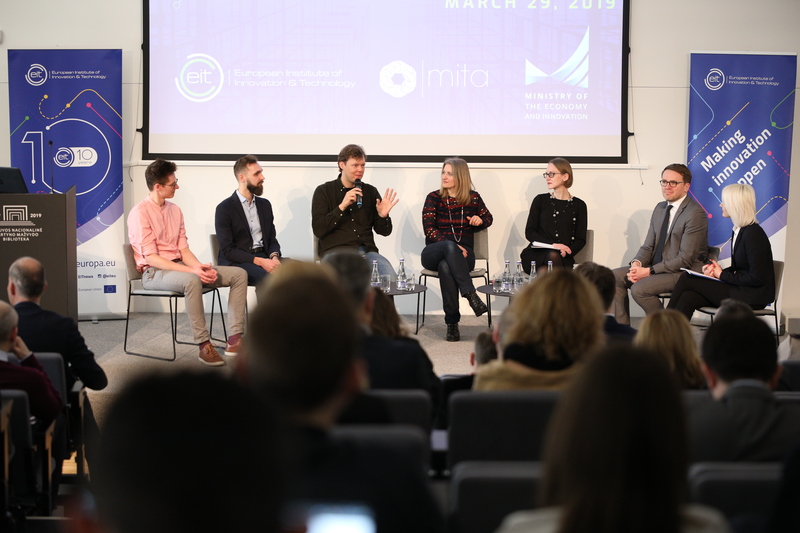 Now in its 3rd year, the annual call is open between April 1-30 and aims to attract the most promising impactful mature startups and early scaleups who can support EIT Food’s mission to transform the food system.